Given that 70% of households in the U.S. use the Internet as a tool when shopping for goods and services, having an attractive and engaging website is key to driving sales. Once customers have clicked on your website, how do you keep them interested? 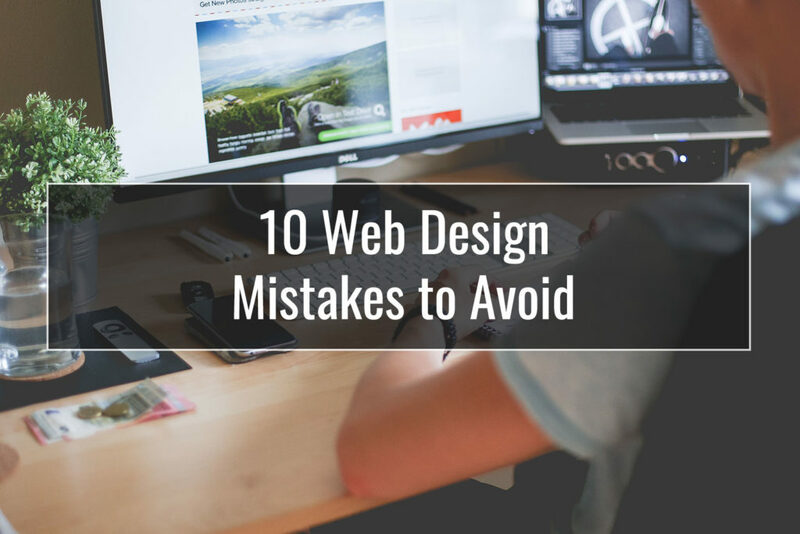 When working on your website, be sure to avoid these common design mistakes. If a potential customer attempts to access your website on a mobile phone, and it is not mobile-compatible, they will likely have a great deal of trouble reading and navigating your website. They will have to spend time resizing the page and may not even be able to access certain pages, causing them to give up and leave the website. When people visit a website, they want to be able to find information quickly and easily. If your website is difficult or confusing to navigate, visitors are unlikely to stick around. Choose an Omaha web design company to build a website that allows users to find information with 2-3 clicks. While SEO is an important factor when it comes to generating leads, showcasing interesting written content is essential. Poorly written material containing grammatical and/or spelling errors looks careless and unprofessional. When a user visits a website containing auto-playing music, the effect can be jarring. If a person is peacefully browsing the web in a quiet office or at-home environment and all of a sudden, loud music comes blaring out of their speakers, this is unlikely to be a pleasant experience. While they may seem like a good idea to you, pop-up advertisements and scrolling adverts can irritate your users and prevent them from reading your content. In web design, if you don’t have links to social media channels on your website, visitors may make the assumption that your company is outdated and not active. Giving users the option to like and share posts is an incredibly powerful marketing tool, so be sure to have active social media accounts and include links on your website. WordPress sites allow for seamless integration of social media, so it is a great platform to work with. A visually appealing design is important to keeping people interested in your website. Choose a color palette and layout that is pleasing to look at; otherwise you will drive visitors away. Cluttered text and long paragraphs can be difficult to read. Keep your text as clear and concise as possible in order to captivate your viewers. If you fail to update your website frequently, users may jump to the conclusion that your company is out of business. A potential customer who sees out of date content is likely to leave your site and head to that of a competitor. People don’t have time to waste, so don’t keep them waiting when they are exploring your website. Be sure that your content and images are optimized for a quick loading time. By avoiding these web design mistakes in Omaha web design, you will likely increase traffic to your website and improve the number of customers that stay on your site for a substantial period of time. This, in turn, can lead to a greater number of sales.